Remember last year when Pantone got woke and declared “Greenery” the color of the year, citing a need for “reassurance…amid a tumultuous social and political environment,” but then North Korea threatened nuclear war, Puerto Rico was pummelled by Hurricane Maria and the #MeToo movement exposed the magnitude of sexual assault? Yep. 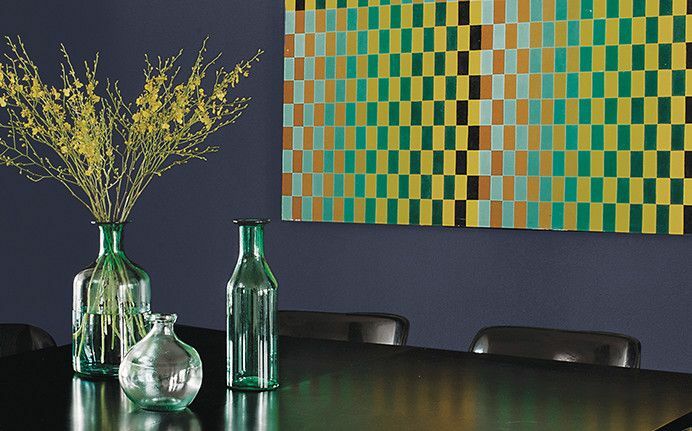 Unsurprisingly, the color forecast for 2018 is less optimistic, with moody hues that range from rich blue-green to inky black. 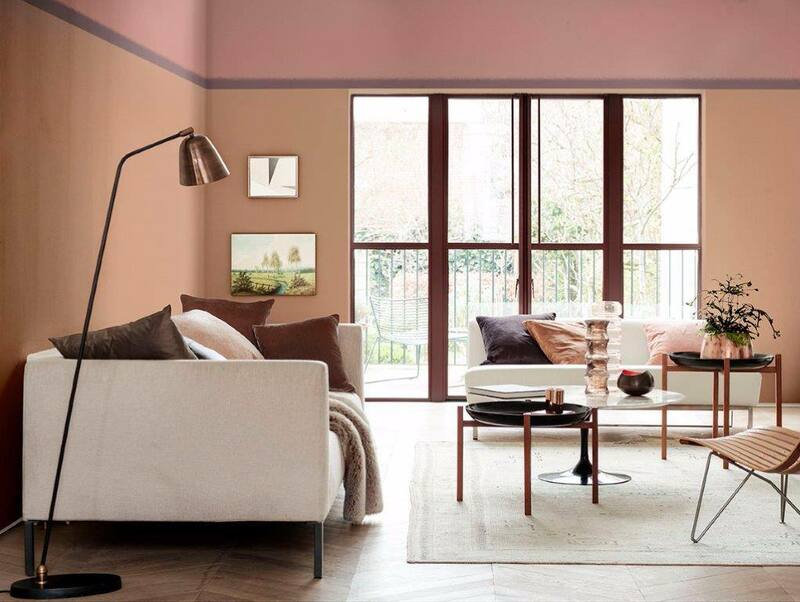 Paint manufacturers seem to be going through a bit of a goth phase, but there were a few outliers, including a vivid shade of red and a dusty-rose. Here’s our roundup of the top color trends for 2018. 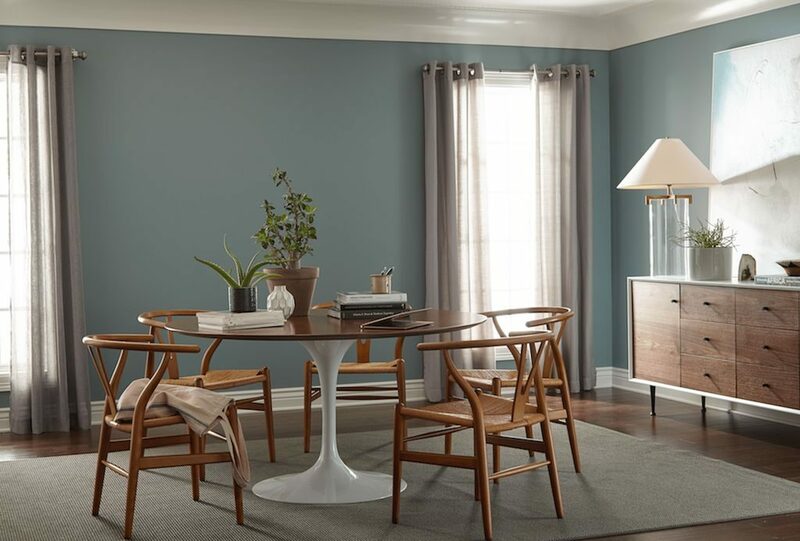 This is the first year Behr has selected a Color of the Year, and they played it relatively safe with a calming spruce blue. In the Moment is described as “versatile and welcoming” and pairs well with other soothing shades. If you’re a firm believer in chromotherapy you may want to think carefully about the room you choose to play up in this color — red is known to increase heart rate, blood pressure and appetite. Caliente is “strong, radiant and full of energy,” and would make a bold statement on an exterior door or the walls of a home library. Black Magic is a radical departure from 2016’s reign of crisp, brilliant whites. The matte grey-black is “an oft-misunderstood neutral” with an air of timeless sophistication. 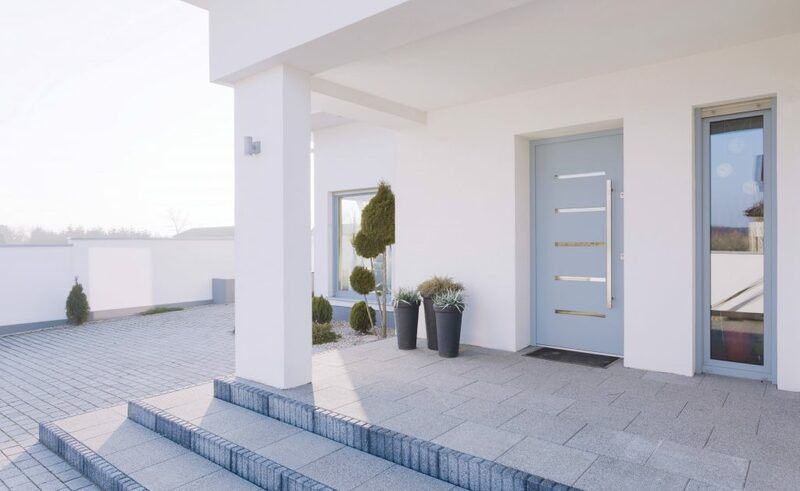 “In the current day, consumers often feel uneasy, restless or like their privacy is being invaded, so they crave deep, comforting colors that offer a welcomed escape from the chaos of daily life,” noted Dee Schlotter, PPG senior color marketing manager, Olympic Paints. 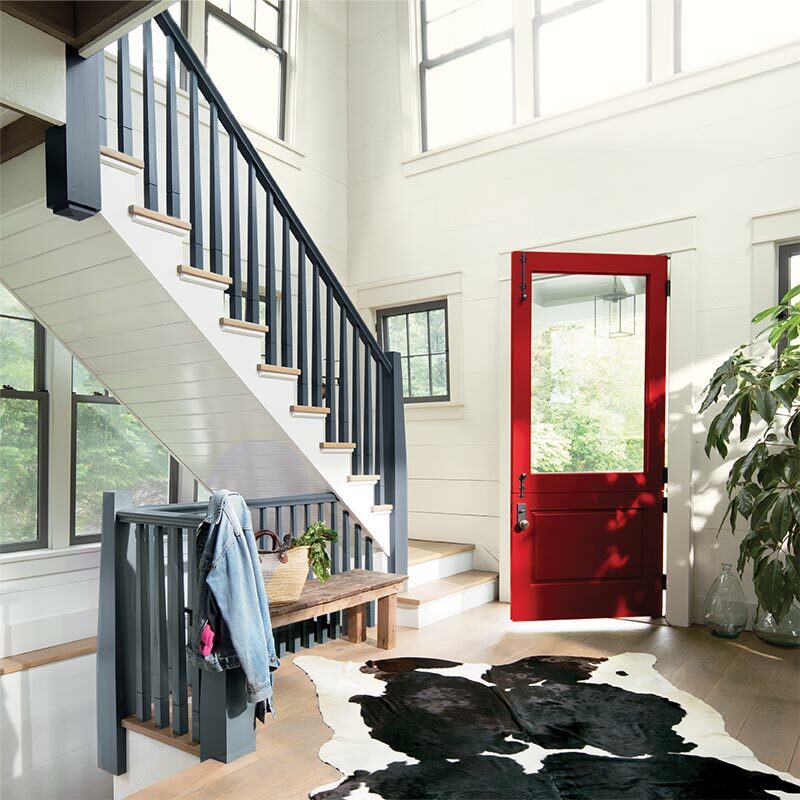 Glidden also painted black as a “forgotten neutral.” Their choice for Color of the Year is Deep Onyx, a “no-fuss shade” with a minimalist aesthetic. Homeowners can go all out, drenching an entire room in the mysterious shade, or create a more subtle effect with black trim or cabinets. 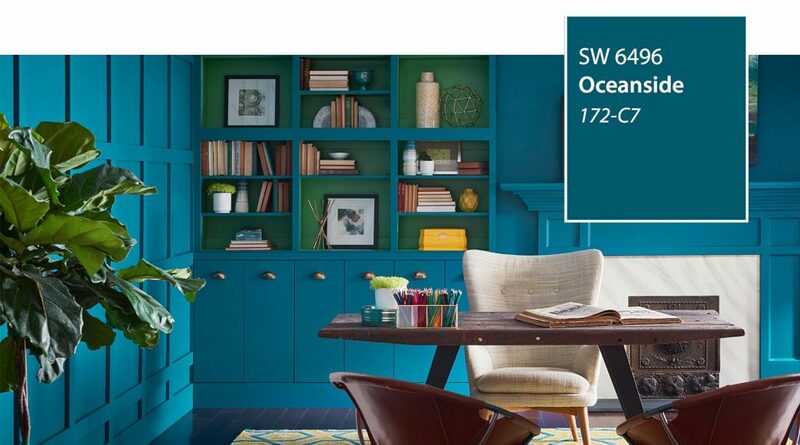 Sherwin-Williams opted for a rich jewel tone that’s a composite of blue and green. 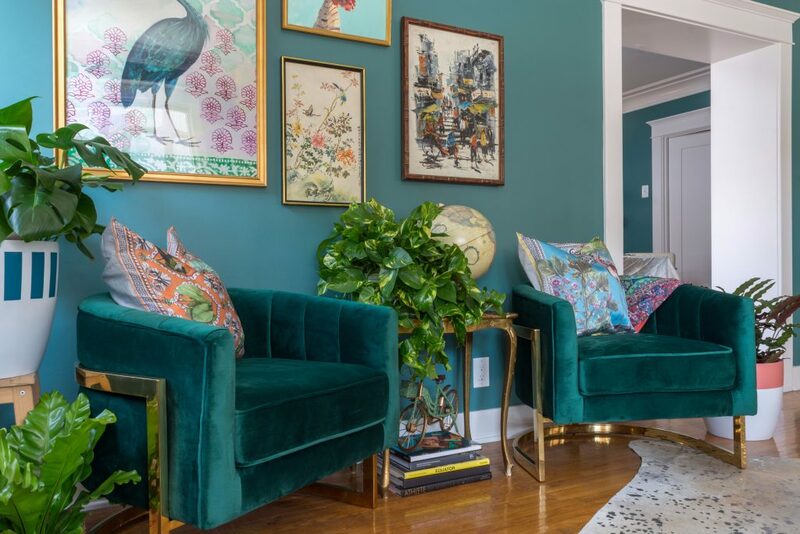 While Oceanside is an eye-catching color in its own right, the energetic hue allows decor and furniture pieces to pop, creating a multi-dimensional look. This midnight blue hue offers “luxurious serenity,” and is an astute choice for a bedroom or living room. The color has a calming effect, allowing it to “transform an ordinary space into a sanctuary,” in which its inhabitants feel safe and secure. In 2017, the color forecast read like a eulogy for Prince, with nearly every shade of purple represented in our roundup. 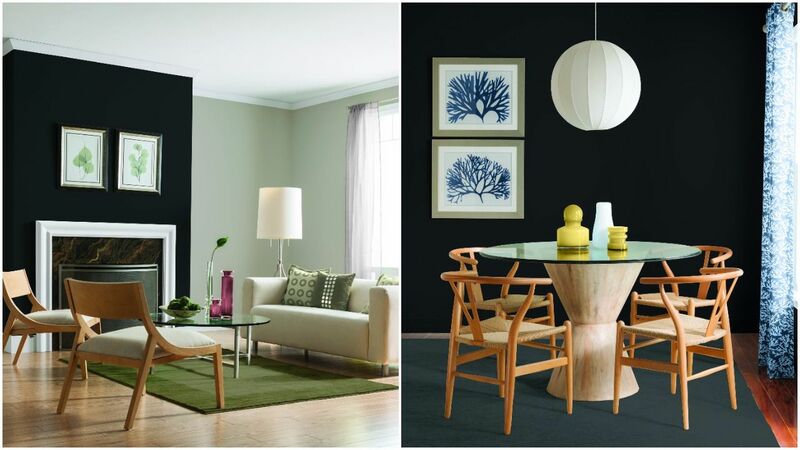 This year, Pittsburgh Paints has chosen a “statement-making black, infused with an undertone of the deepest indigo.” It’s an interesting take on the black color trend, with a bit more complexity and character. The color experts at Kelly-Moore were inspired by the return of 70s style decor, defined by muted, earthy tones such as brown, orange, mustard, royal blue and maroon. Bahia Grass is a nearly-neutral that resembles a warm, green-beige hue. Move over Millennial pink, there’s a new pastel in town. Heart Wood “brings together clay and blush pink tones to calm the mind, soothe the senses and shut out the noise.” The temperature is cooler than most of the pink shades we’re accustomed to, which gives it a more refined edge. Are we seeing double? Not only do Bahia Grass and Plume Grass have similar-sounding names, the hues are almost indistinguishable from one another. 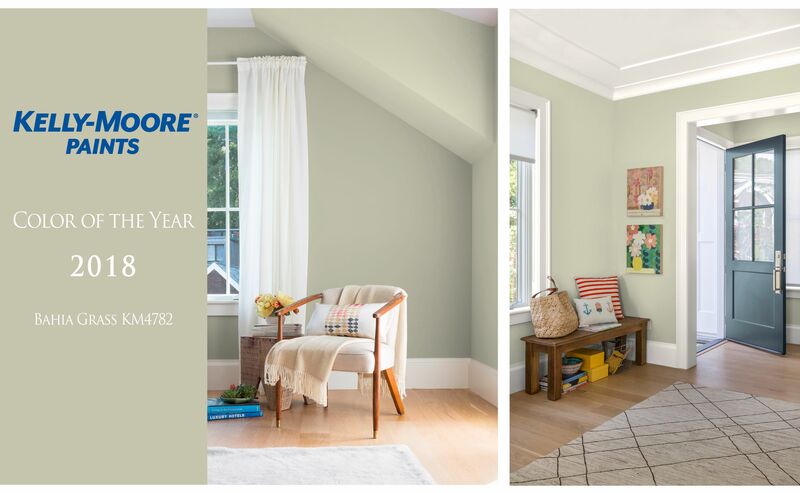 Cloverdale Paint calls it “the epitome of a modern neutral…clearly tinted but delicately balanced.” The company suggests pairing it with other earth-tone hues or a retro-inspired palette. “Plays well with others” is the tagline Diamond Vogel used to describe its Color of the Year for 2018. Atmosphere Pressure is cheerful and uplifting, complementing mid-century modern, coastal, industrial and farmhouse-style decor. Whether it’s applied indoors or out, the “restful blue” is sure to make an impact.